Learn how to make fake snow that is cold to the touch using just 2 ingredients you already have! 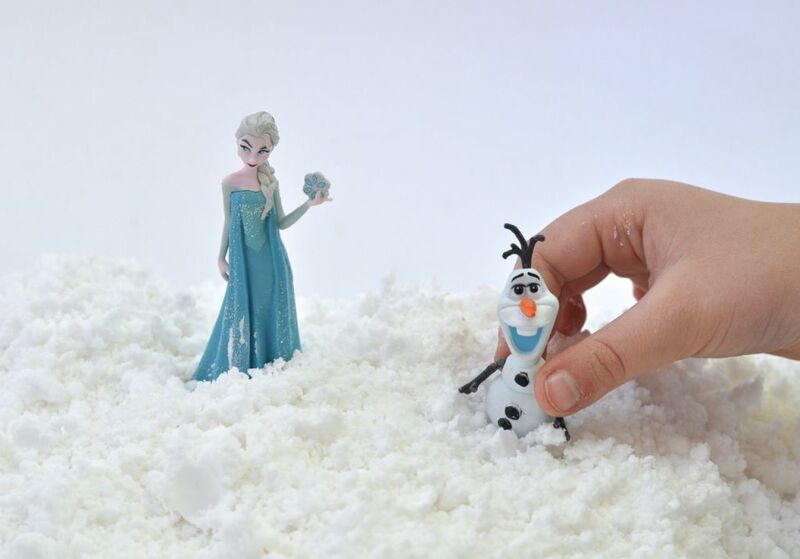 Kids love playing with this DIY snow that feels SO real! Living in Southern California means that my kids don’t get to experience snow. They don’t know what it’s like to dig their fingers in cool, freshly fallen crisp snow and form a snowball or make a snowman. I wanted my kids to have a taste of what snow feels like, so I created some DIY fake snow that feels just like the real thing! It’s surprisingly easy to make snow at home that naturally feels cold when you touch it (without having to put it in the freezer), is really fun to play with, and is a cinch to make with just two simple ingredients. Bonus: This fake snow smells really amazing too! Today I’m going to show you how to make fake snow with baking soda and shaving cream. Seriously!! 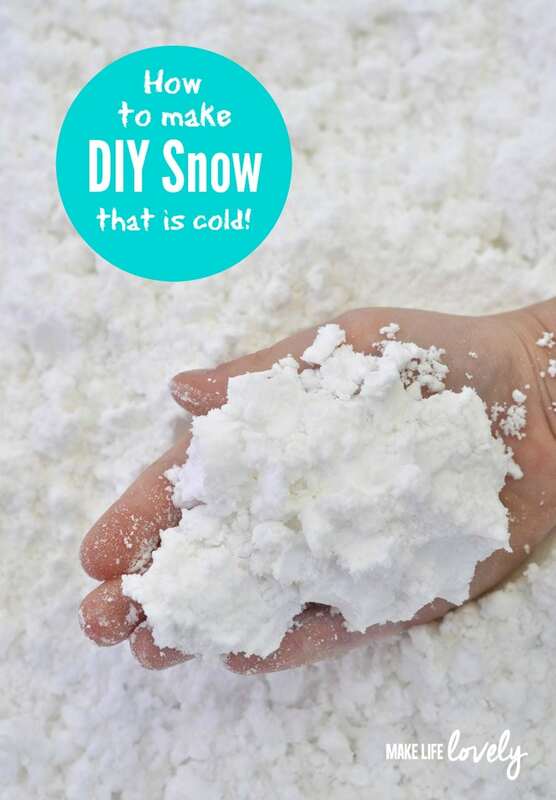 Here’s how you can make your own snow without having to deal with freezing cold weather. Your kiddos are going to love this! Pour all of the 2 lb. box of baking soda into a plastic container with a lid. Add some shaving cream, and knead it into the baking soda. Add more shaving cream, mix, and repeat, until the mixture is the consistency of snow. 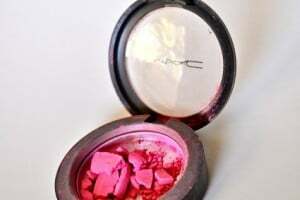 The DIY fake snow become light and powdery, and will leave very little residue on your hands when fully mixed. 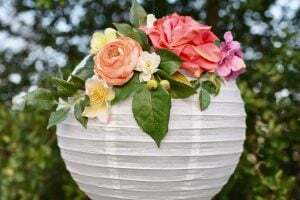 I used one full can of shaving cream, plus a small amount of another can, but this will depend on the size of the can that you use. 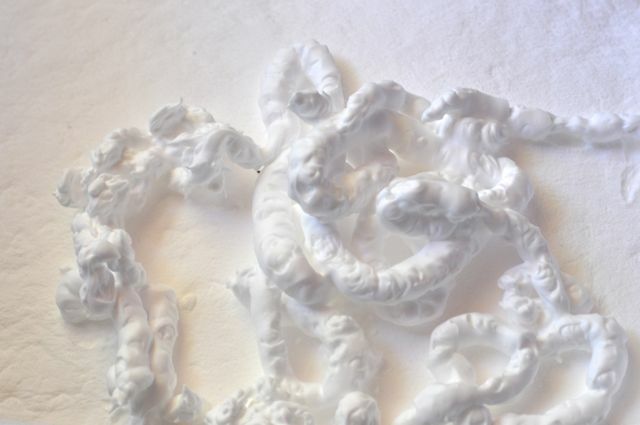 Our shaving cream scent was called “Arctic Snow,” which was perfect for this project! I was going to add peppermint oil, but our DIY snow didn’t need it, since it already smelled amazingly brisk and cool due the shaving cream scent. It was a nice surprise that our fake snow felt cold to the touch. I’m not sure why the mixture is cold, but it definitely makes it more realistic, and even more magical! 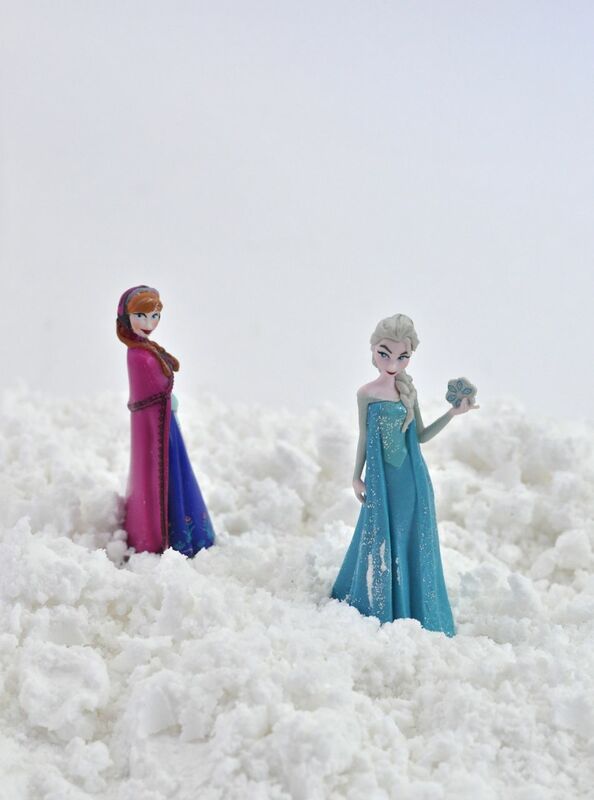 To add to the magic, I just couldn’t resist adding Anna, Elsa, Olaf, Christoff, and Sven to our DIY fake snow. The kids were all playing peacefully together with the snow for HOURS, which was really nice. My kids took turn playing the different Frozen characters, and then made their own little snowmen complete with stick arms and tiny pebble eyes. Our fake snow came together just like real snow when pressed. My kids were so enchanted with their cold, fresh-smelling snow, and to be honest, so was I. I played right alongside them for a while, digging my fingers into the cool powder. It was actually very therapeutic. 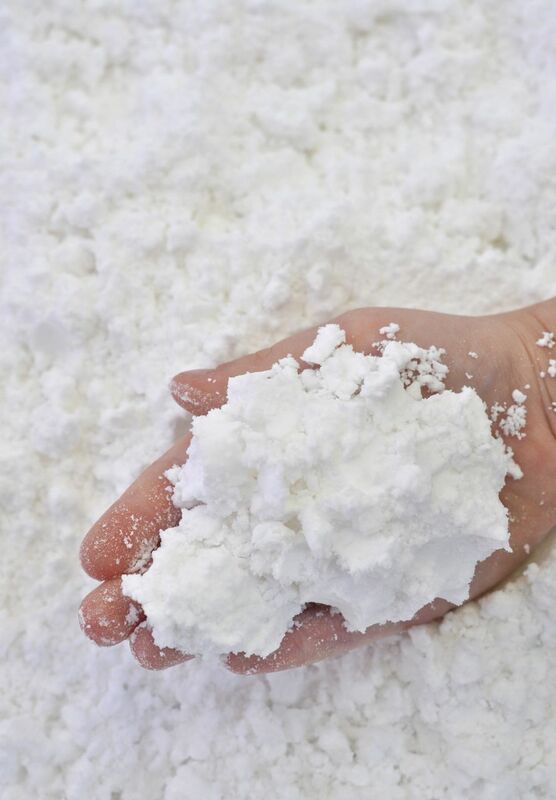 Would you ever have believed that it was so easy to make fake snow? I truly hope you enjoyed this how to make snow tutorial. 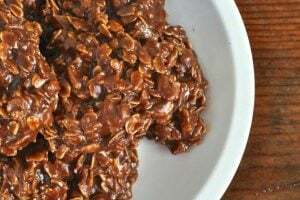 If you give it a try, be sure to leave a comment and let me know how it went. Originally posted in April 2015, updated in November 2018. Hi Laura, I work at a museum and am looking for fun, interactive ideas for out Holiday-themed weekend. I’m interested in making fake snow (it looks so fun!) But I’d like to know, how messy is this activity? 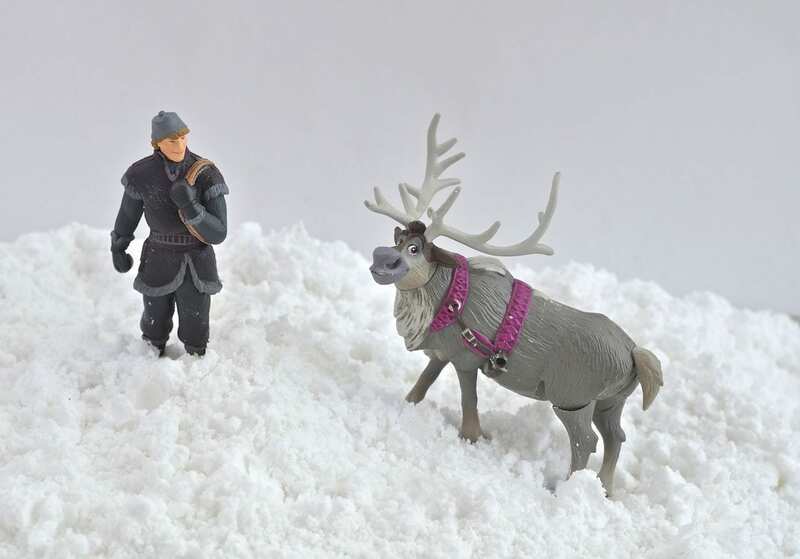 Does the snow tend to get everywhere, even when you;re being careful? Hi Laura, I am wanting to do this activity in my kindergarten classroom and wanted to know how long it would last? If I make it on Thursday night, would it work for Friday morning?